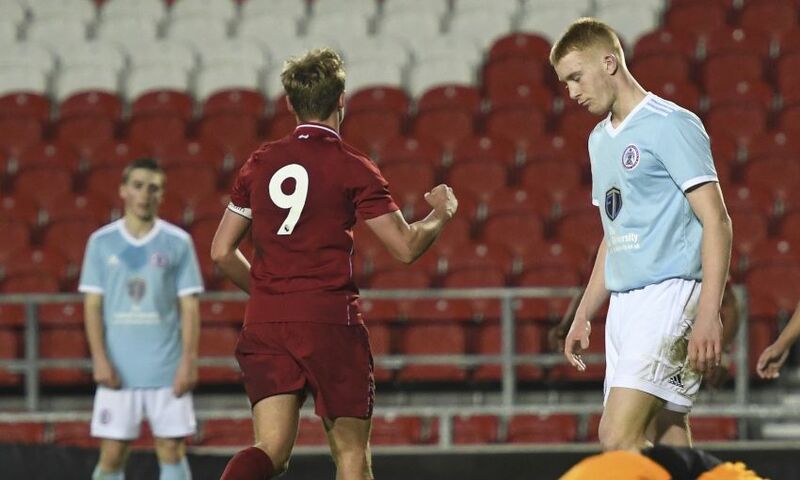 Liverpool eased into the fifth round of the FA Youth Cup with a 4-0 win over Accrington Stanley on Monday night. Rhys Williams’ clinical header opened the scoring during an evenly-matched first half at the Totally Wicked Stadium. 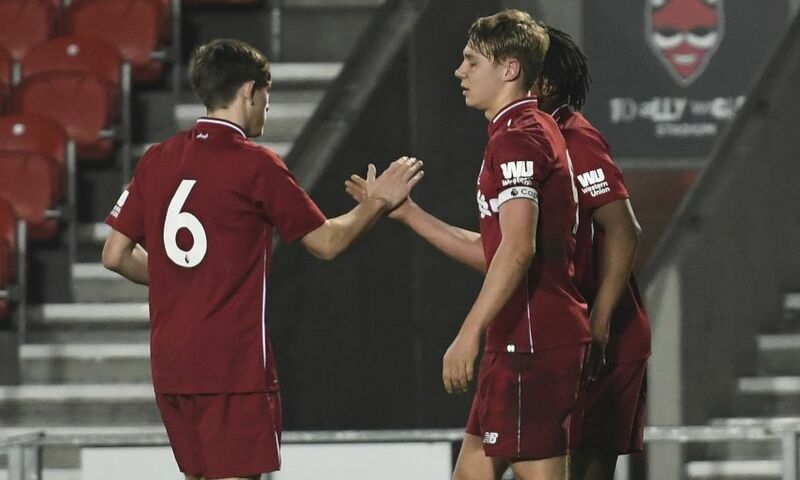 Paul Glatzel doubled the Reds’ lead just before the interval and the striker added two more in the second period to seal a hat-trick and rack up a comprehensive scoreline. 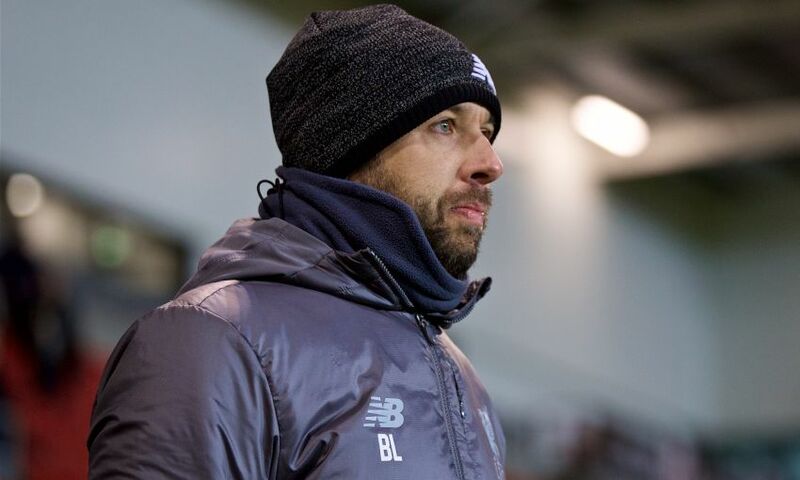 Barry Lewtas’ in-form team therefore progress to a third consecutive home match in the competition this season, against Wigan Athletic. Accrington should have taken the lead within two minutes of kick-off. 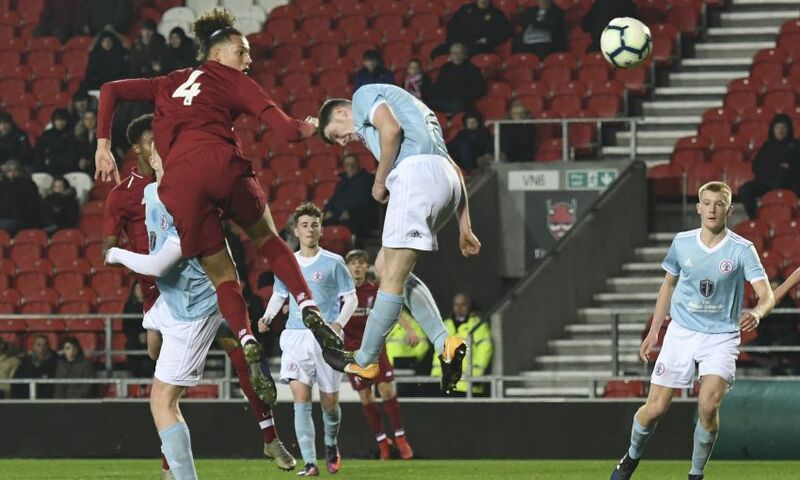 Lewis Gilboy made ground at the left edge of the Liverpool area and his diagonal cross to the far post found Charlie Ridge unmarked yards from goal and primed to net – but he lifted his shot high over the bar. At the other end, a smart pass by Abdi Sharif slipped Bobby Duncan into a one-on-one situation; the No.10’s touch took him too close to the goalkeeper, though, and the chance was blocked. 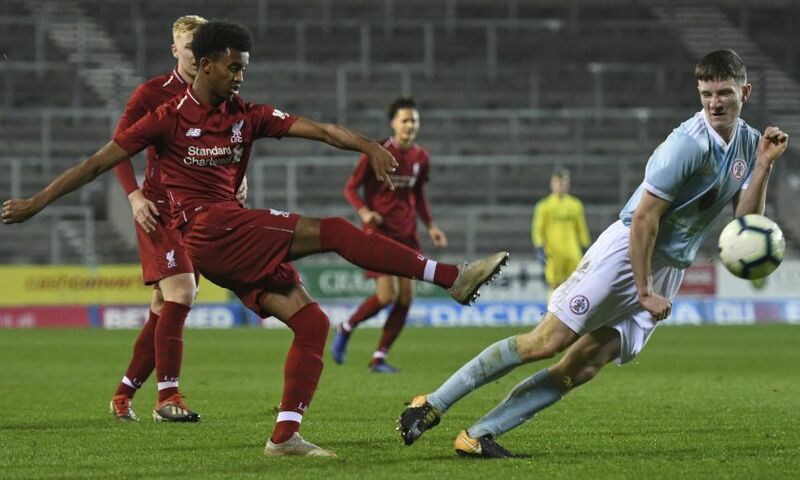 Elijah Dixon-Bonner fired a presentable opportunity off target after good hold-up play in the box by Glatzel, who then collected a short corner and saw a drive parried by Accrington’s Toby Savin. Instead, Liverpool’s breakthrough came from a defender on 25 minutes. 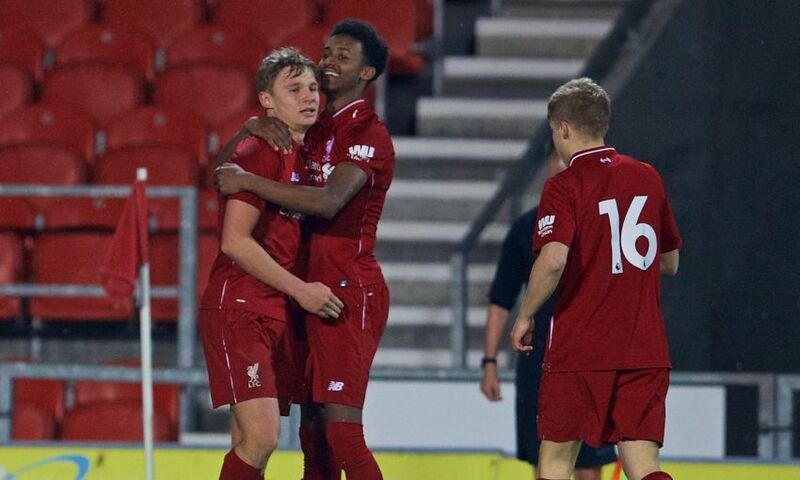 As the Reds recycled the ball on the left wing, Leighton Clarkson dug out an exquisite cross that Williams met in the centre of the area with a precise header flicked into the bottom right corner. Yasser Larouci nodded another inviting Clarkson delivery – this one a straight loft over the visiting defence – against the woodwork, with the linesman flagging for offside in any case. Gilboy threatened an equaliser when he scampered onto a through ball from deep and fired off an early shot, but Vitezslav Jaros stood up and was equal to it. 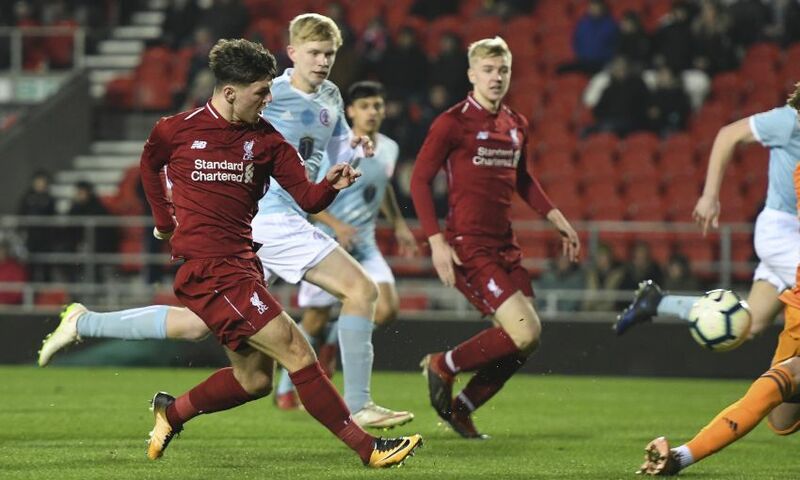 Liverpool pushed back strongly and created a series of half-chances before Glatzel doubled their advantage with a timely – and superb – header in the 45th minute. Larouci was the goal’s architect, dribbling carefully into the box and clipping the ball into the middle, where Glatzel rose to direct his effort perfectly over Savin and into the top corner. 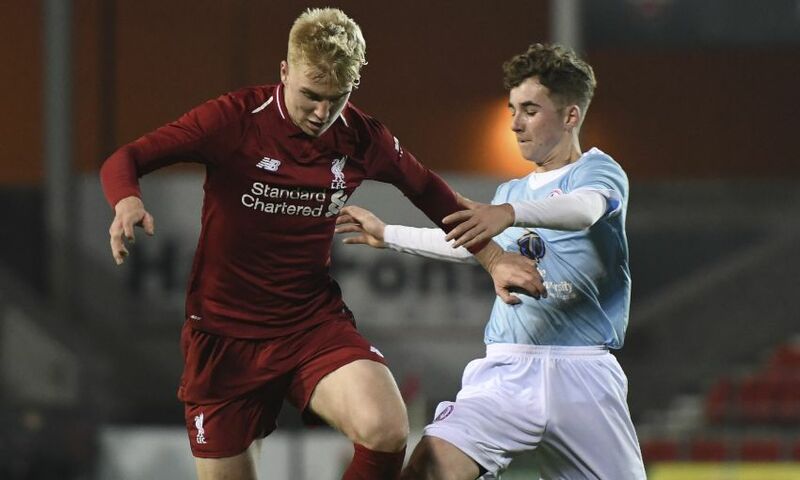 The Reds continued to enjoy the greater share of possession in the second half but Accrington retained a threat and Ridge had another opening on 56 minutes. He neatly controlled a forward pass into the right channel and moved inside the recovering Larouci to fashion space for a strike towards goal which Jaros denied. Savin produced an even better stop moments later. 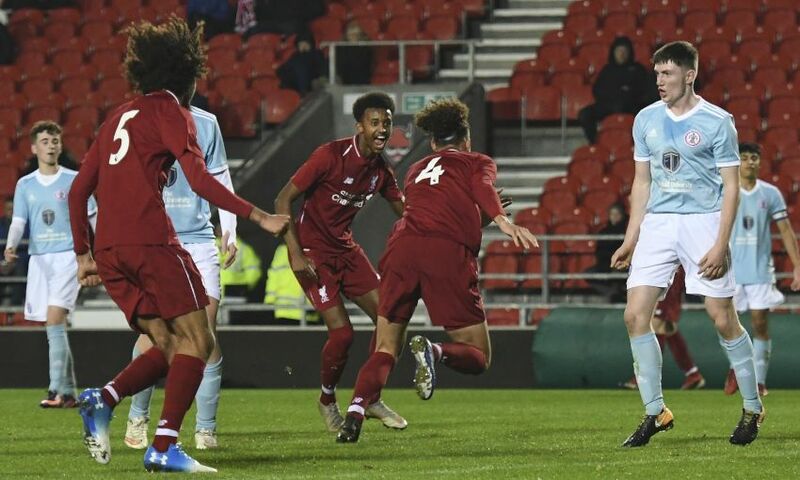 Larouci’s floated delivery into the centre from the flank was headed firmly by Duncan from eight yards but the Accrington ‘keeper reacted instantly to save with his body. 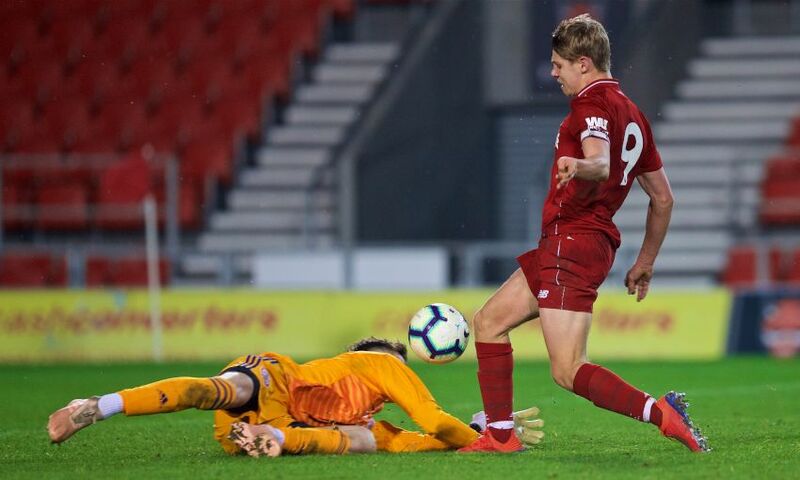 He could not prevent Glatzel from notching his second and the Reds’ third, however. An incisive attack involved a left-wing passing exchange between Larouci and Duncan, who swept a first-time assist over to his strike partner Glatzel to hurdle the challenge of Savin and convert into the unguarded net. And there was still time for his hat-trick to be completed. 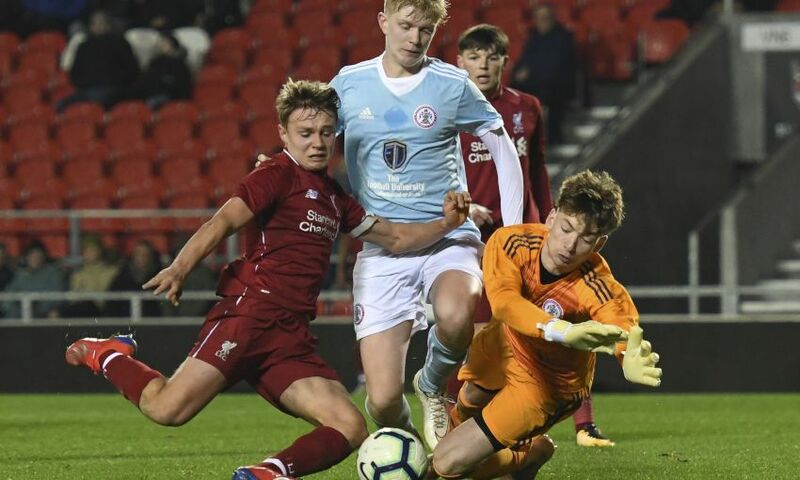 With 88 minutes on the clock, Glatzel capitalised on a short back pass to once again dribble the ball around the ‘keeper and coolly send a finish home. 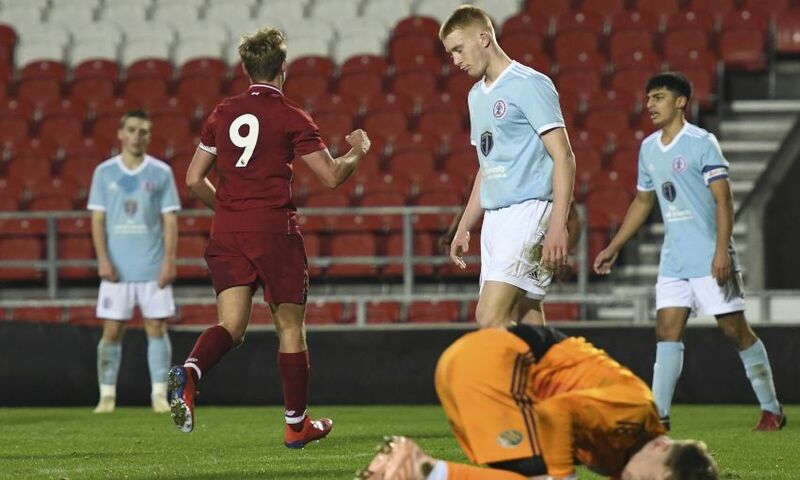 Savin tipped a Duncan thump onto the post in the last action of the match, but Liverpool had already done enough to march on in the FA Youth Cup – and they will now meet Wigan in the last 16. 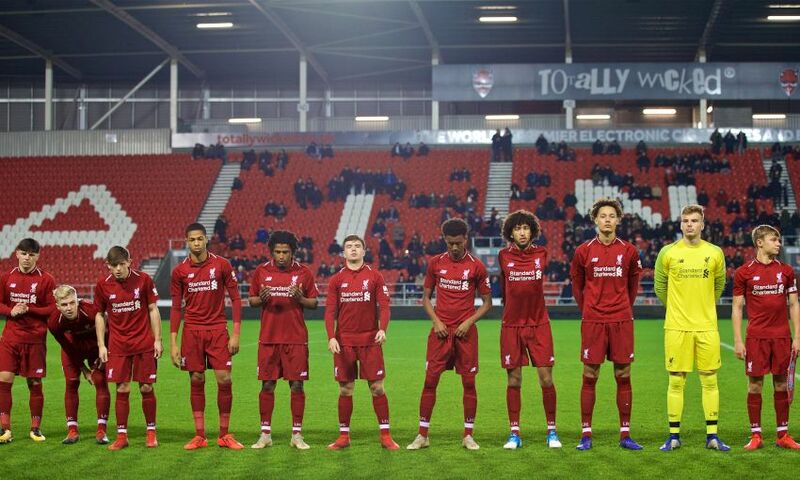 Liverpool: Jaros, Walls, Larouci, R. Williams, Savage, Clarkson (Ritaccio, 85), Sharif (O’Rourke, 85), Dixon-Bonner (Bearne, 70), Glatzel, Duncan, Longstaff.